Its only available in Singapore. The shopping / Nylon bag was from Singapore and only given to marathoner. 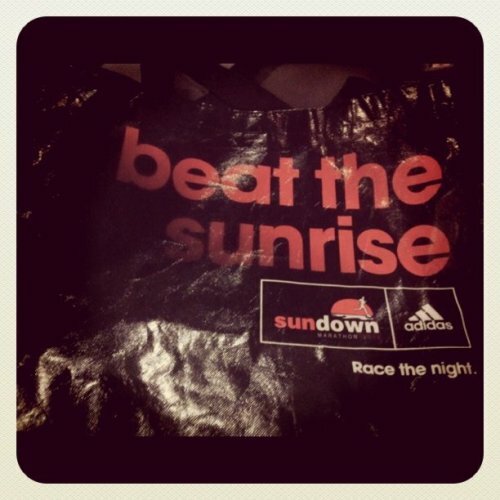 Since Govt calls for "No Plastic" day, im bringing my "Beat The Sunraise bag" out for my grocery shopping. Its not your ordinary grocery bag. You gotta to run 42.195km and burn the midnight oil to earn the bag.